As an Investment Associate at Lanier, Stephanie is responsible for client relationship management and technical investment analysis. 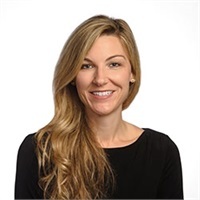 Prior to joining Lanier, she worked at Deutsche Bank as part of the institutional platform where she assisted with relationship management, portfolio reviews and client presentations. Stephanie is a graduate of the University of Kentucky, where she earned a bachelor's degree in Spanish Language. An avid musician, she has twice performed at Carnegie Hall. Stephanie and her husband, Burdette, enjoy traveling, boating, and planning new adventures with their daughter, Sophia.